Solid Built Concrete Block with a new roof in last 2 months as per owner. 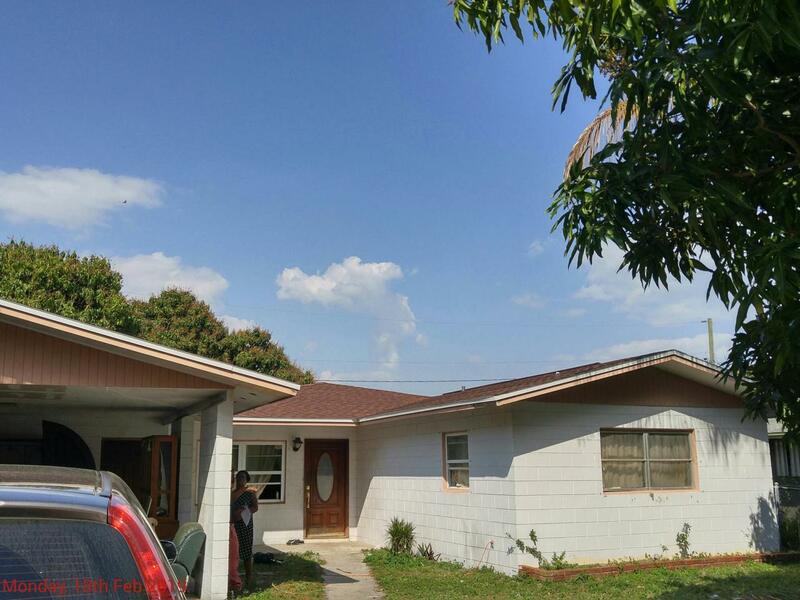 3 bedroom, 2 bath home with a 2 bay carport attached. Partially fenced yard. Large living room, Large Kitchen and Breakfast area, semi formal dining in Living room and there is a family room, but could not get into it to shoot photos. 3 nicely sized bedrooms are on other side of home. Master has its own bath with shower. Home needs new AC and plumbing, some new electrical work needed as well. Kitchen should be gutted. Interior needs WORK. Good bones, nice neighborhood MULTIPLE OFFERS HAVE BEEN RECEIVED. HIGHEST AND BEST OFFERS TO LISTING AGENT BY SUNDAY AT 12 NOON LISTING AGENT IS MEETING WITH SELLERS ON TUESDAY. PLEASE READ SUPPLEMENT ! FORMS ARE ON LINE WITHIN DOCUMENTS.& property has several fruit trees. Neighbors are nice and friendly. Diamond in the Rough. This home would qualify for FHA 203K or CASH offers only. This is a short sale and buyers should give at least 3-6 months before sale can close. PLEASE BE AWARE THAT THERE MAY BE MULTIPLE OFFERS THAT ARE RECEIVED ON THIS PROPERTY. THE HIGHEST AND BEST WILL BE FORWARDED TO THE BANK. PLEASE MAKE SURE THAT ALL BUYERS HAVE SEEN THE HOME PRIOR TO MAKING ANY OFFERS. Please note: __________________________ There may be a septic issue that has been reported from another agent showing the property.